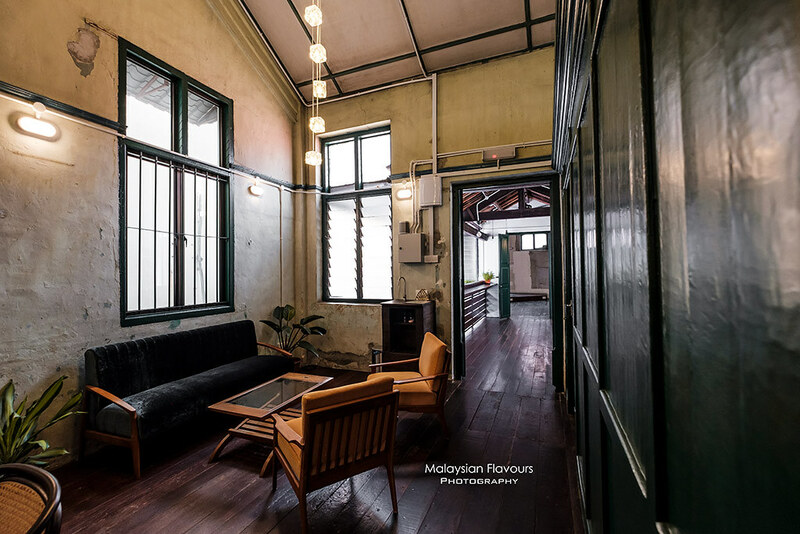 With the amount of trendy cafes blossoming around Malaysia, it is no longer difficult to find a place that offers good coffee. Things go a little competitive, when many cafes trying their best to be outstanding from various aspects, beyond just excellent coffee. 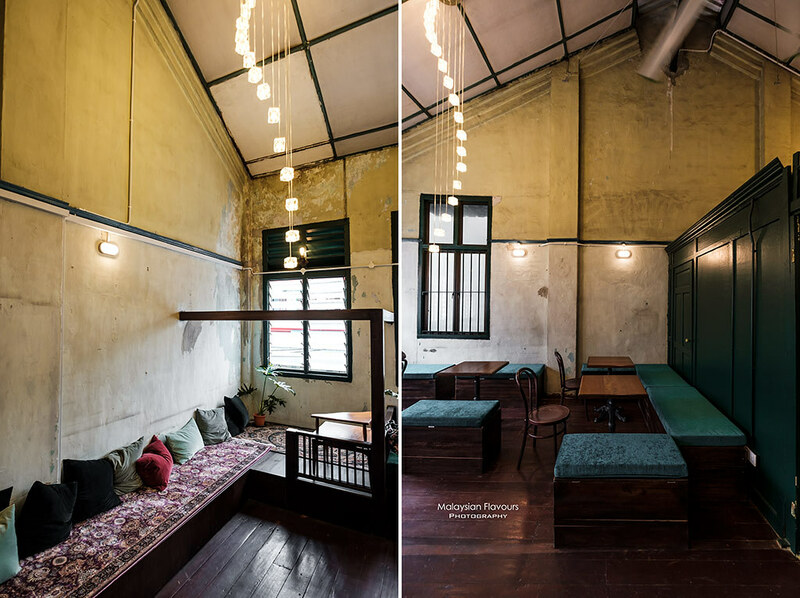 The opening of Seniman Kakao is like a whiff of fresh air within the city of Kuala Lumpur. 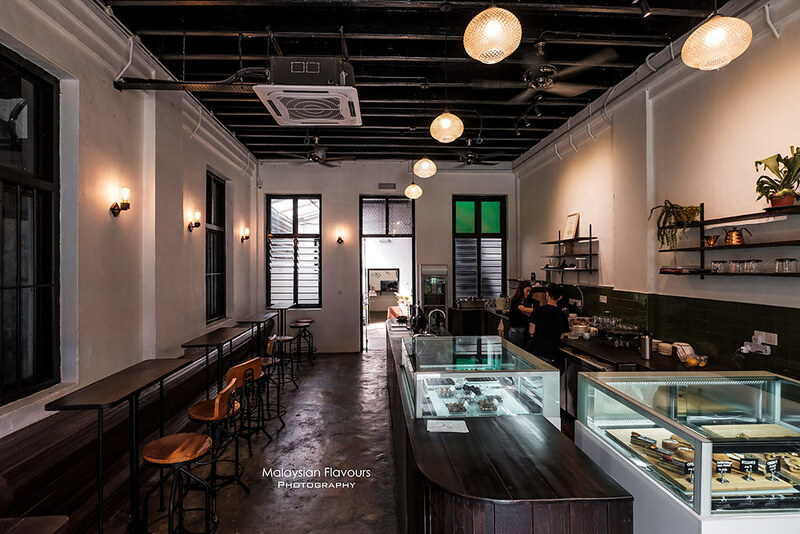 They take pride in serving Malaysia speciality chocolate – incorporating them in both food and drinks. Not to be indifferent from the rest, but the effort of introducing our local speciality in a brand new bean-to-bar chocolate concept, is definitely worth mentioned. 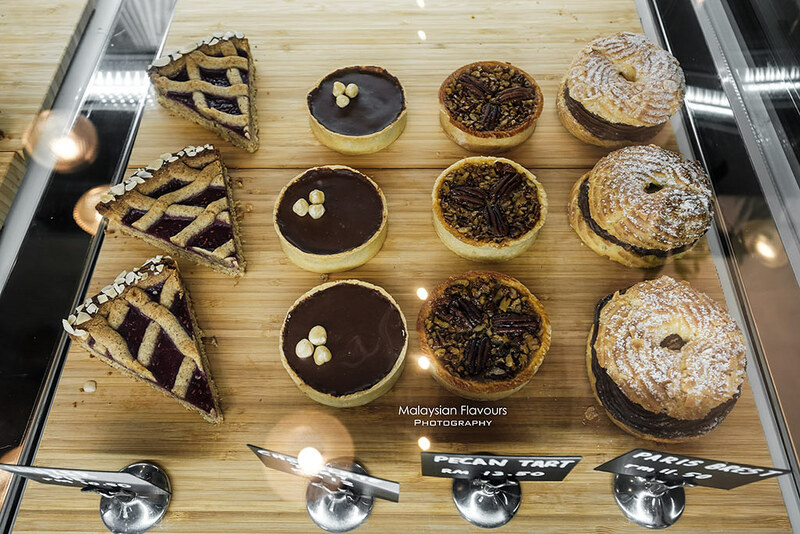 Often, we focus too much on imported chocolate, from Belgium premium chocolate to French luxury chocolate, and tend to forget that in Malaysia, we produce really nice chocolate too. 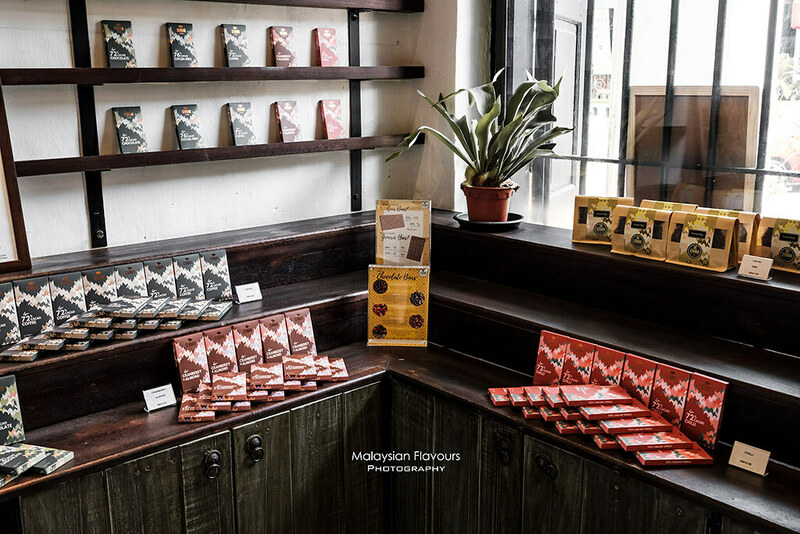 Here at Seniman Kakao, you get to taste some of the best Malaysia single origin chocolate, sourced from local smallholder farmers in the country. 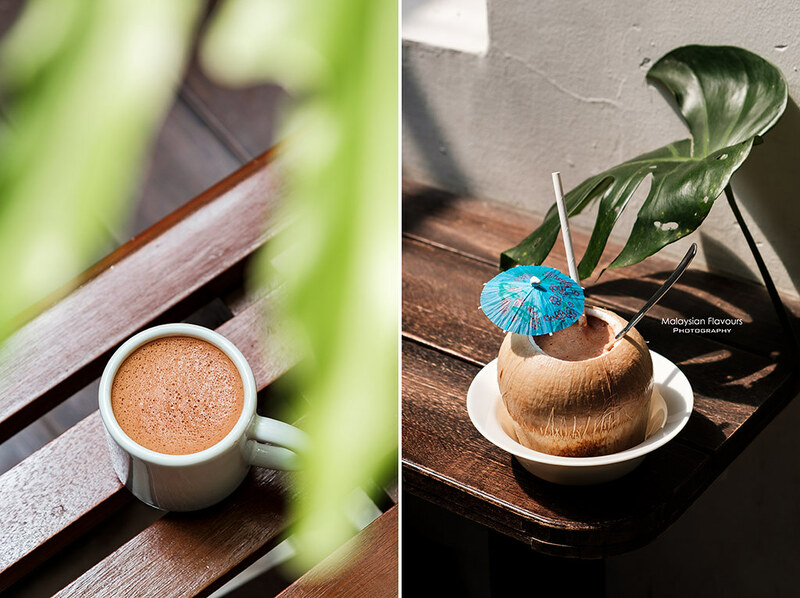 Hot chocolate, hot chocolate with coconut water, hot chocolate with coconut milk, chocolate with espresso and oat milk, chocolate with soy milk – these are few of the recommended 72% cocoa drinks to start with when you are here. We had this hot chocolate + water RM9.50. No milk, but so good! Ordered chocolate + coconut water RM13.50 too. An interesting take from the usual coconut water. Equally refreshing, infused with pleasing sweet-bitterness of chocolate. 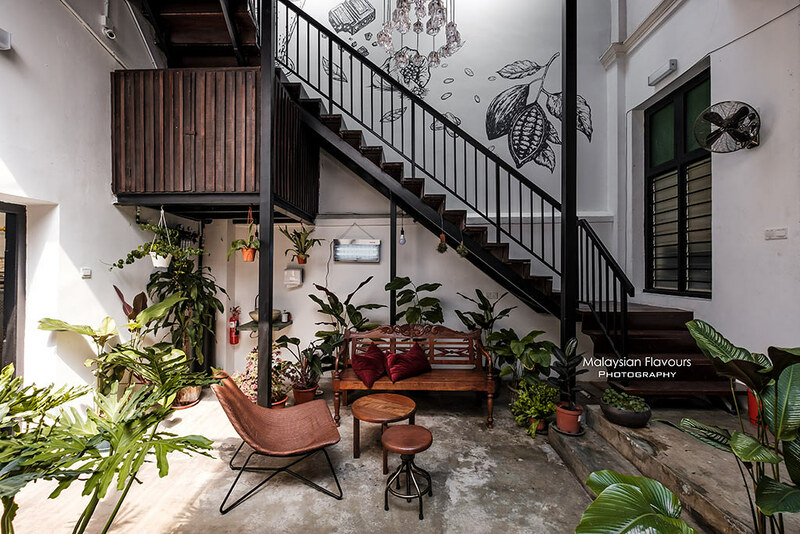 If you still can’t skip having coffee in this thoughtfully decorated cafe with plant-filled courtyard during your visit, no worries, enjoy your cuppa with beans from Artisan Roast. Nitro-coffee from the same establishment is available too! 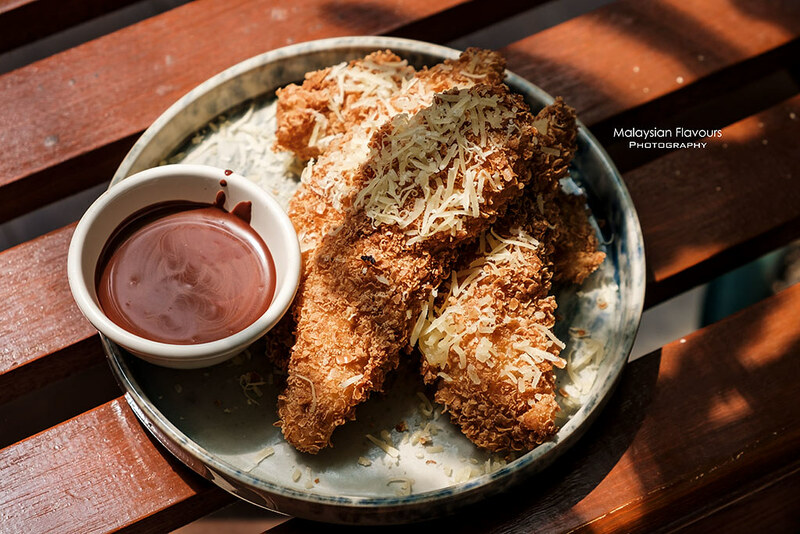 From food, Seniman Kakao menu covers a decent selections of savouries ideal from breakfast till late lunch (*as the kitchen currently opened till 4.30PM for soft opening). 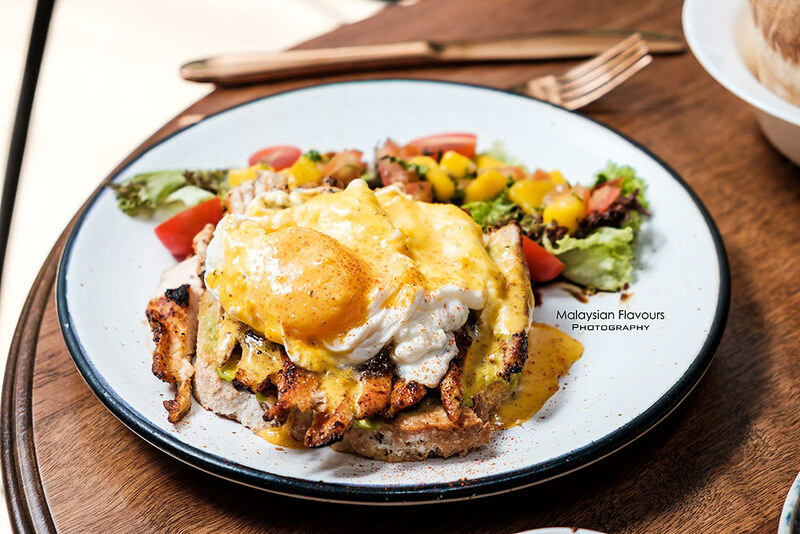 Egg Benedict RM25.40, Shakshouka RM25.40, Chicken Waffle RM25.40, French Omelette RM19.20, Granola Bowl RM17..
… Lemongrass Chicken Rice owl RM23.50, Coriander Chicken Rice Bowl RM23.50, Barramundi Fish Rice Bowl RM23.50, Vegan Tempeh & Avocado Rice Bowl RM23.50, Squid Ink Pasta RM21.20, Clam Pasta RM21.20, etc. 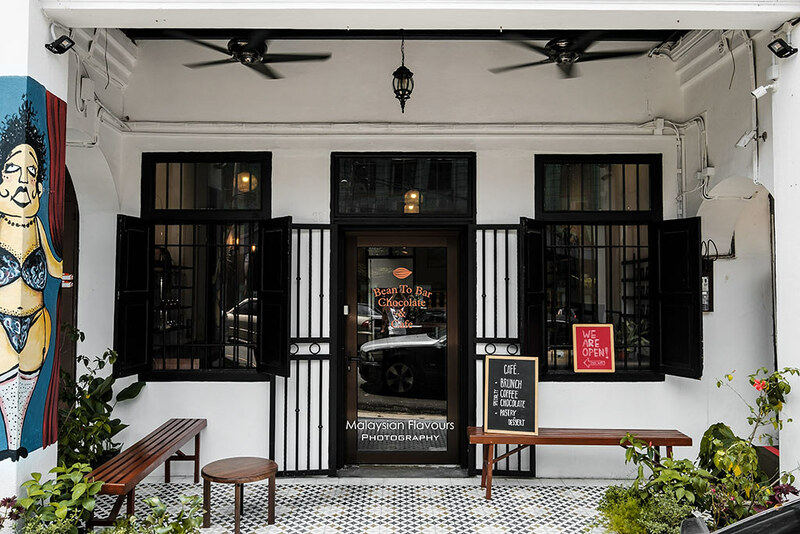 – highlighted comfort food that are hard to go wrong with. Don’t forget the snack and desserts! We loved the Banana Fritters RM12. 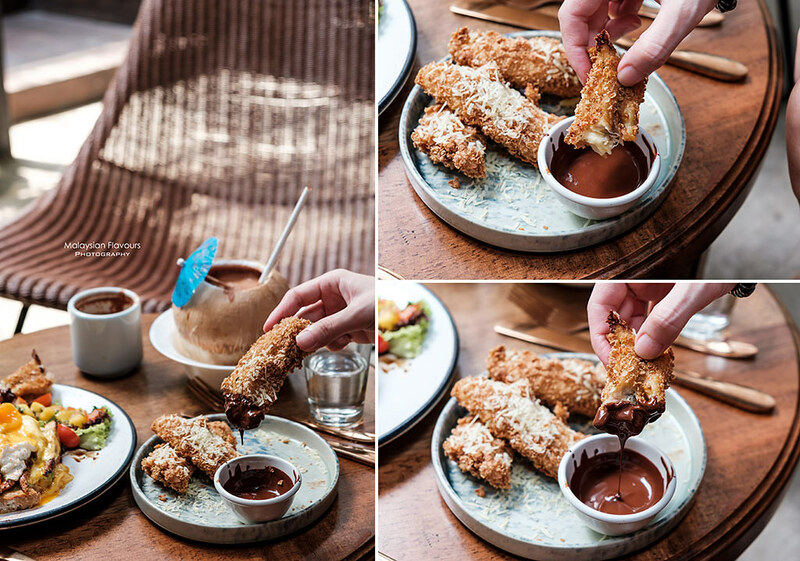 Breaded banana deep fried to golden brown, garnished with grated cheese and served with chocolate shot as dipping! 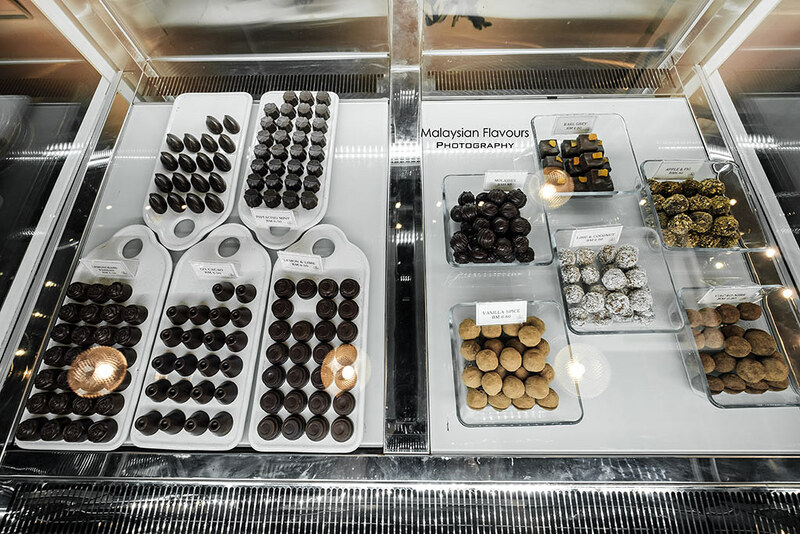 Seniman Kakao chocolate is carefully sort, roast, break, grind, conch, added with as little sugar as possible, temper it and transfer the best flavours of cocoa in a variety of dishes, beverage, handmade chocolate, cakes, tarts and pastries from the dessert bar. Seniman Kakao plain chocolate bars – 76% Cacao Nibs, Cranberry and Roasted Almond Nibs, 72% Cacao Chilli, 72% Cocoa Coffee. Come and feel the vibes, you’ll love the ambience. If marshmallow with chocolate is your favourite, do try Seniman Kakao homamade Marshmallow with Chocolate shot, prepared using 72% single origin chocolate. We were too excited with our chocolate coconut drink and forget to get this. Lol. Will check out on next visit!